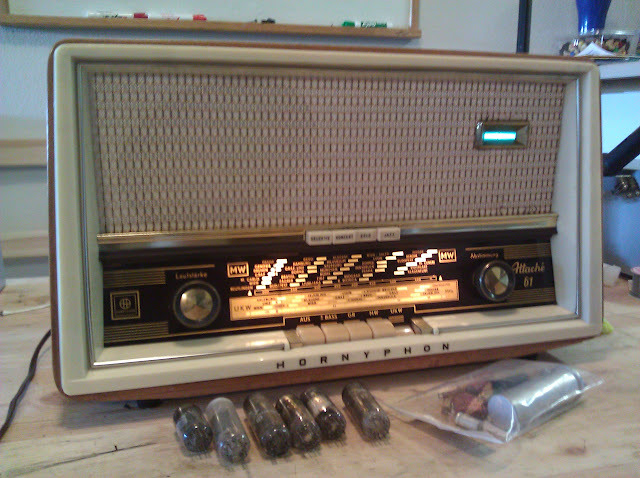 I’ve had this one in my shop since July but had an arrangement with its owner to hold off doing the work for a short time. 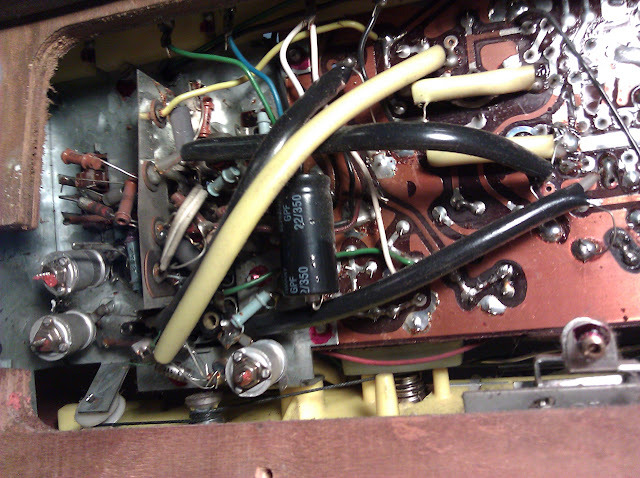 that seems to show evidence of repair to the electrolytic filter capacitor at some point in the past – most likely the ’70s. 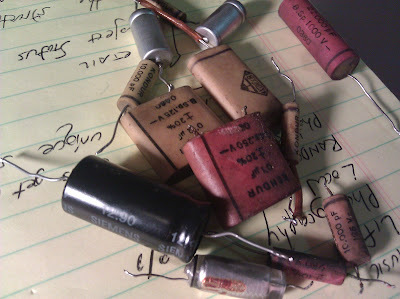 This 22uF 350V capacitor was placed across a section of the defective can capacitor up top, but without removing the defective part from the circuit. 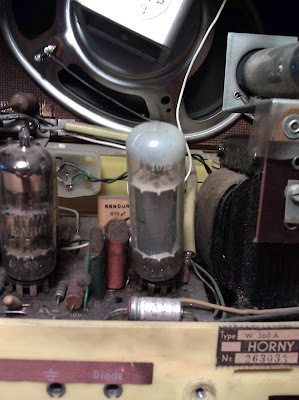 It probably worked okay for a time, but when the failed original capacitor finally went full short, it would’ve had minimal effect. 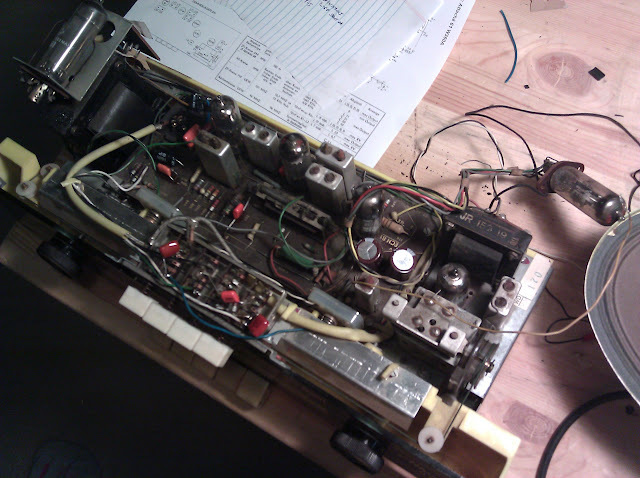 This is a “hack” repair – it probably got the radio playing again, at the time, but it wasn’t made with much attention to best practices or correctness. 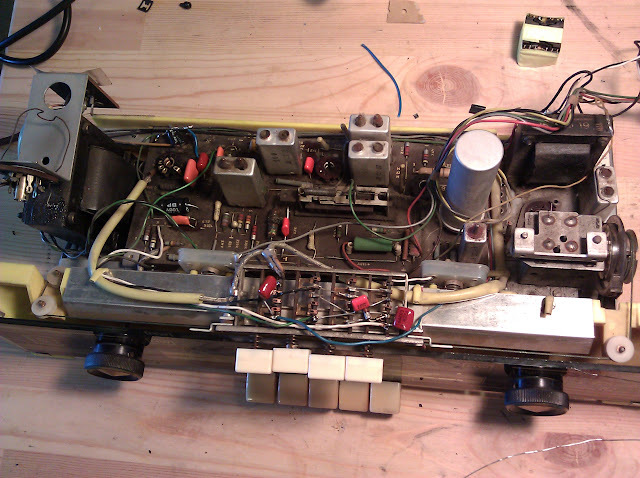 I removed it and returned the power supply to its original configuration during the repair. 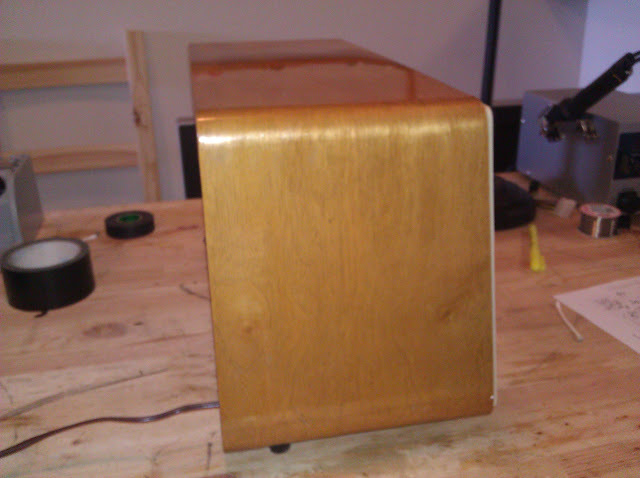 Also replaced the can capacitor with two single capacitors above the chassis, routed through the holes the can used go into. 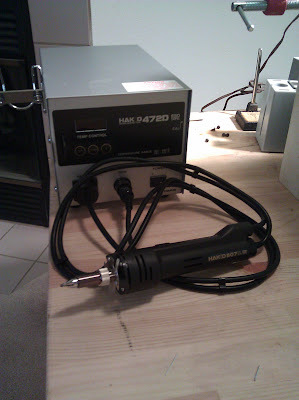 With all the defective parts replaced, it came time to power it up. 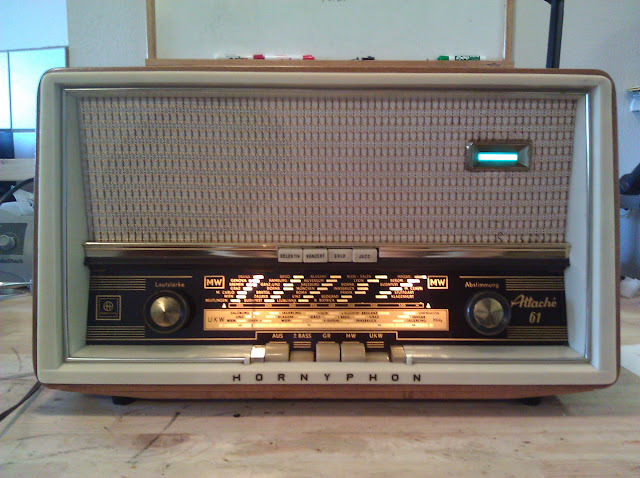 It comes online okay – but no audio at all! 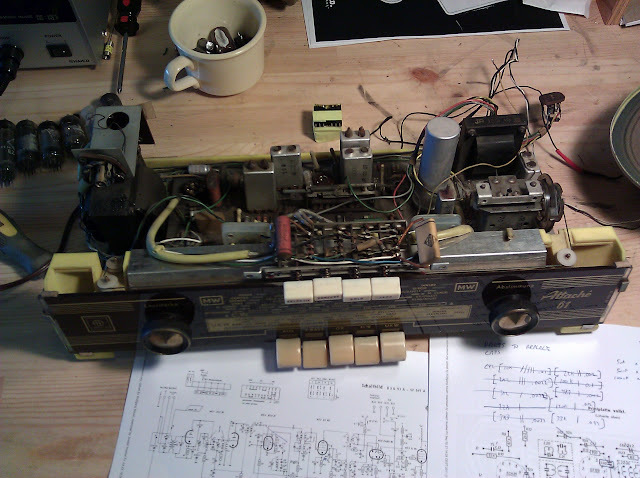 Signal tracing produced a click when I’d tap the grid of the EL84 output tube, but the 1st AF (one section of the EABC80) tube produced no click like it should have. 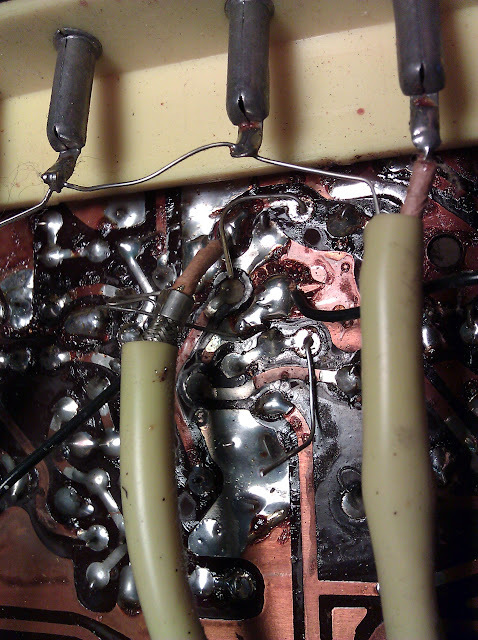 Turns out there were several cold solder joints – probably decades old – on the bottom side of the board around the output section. It’s possible they cracked from heat, even. 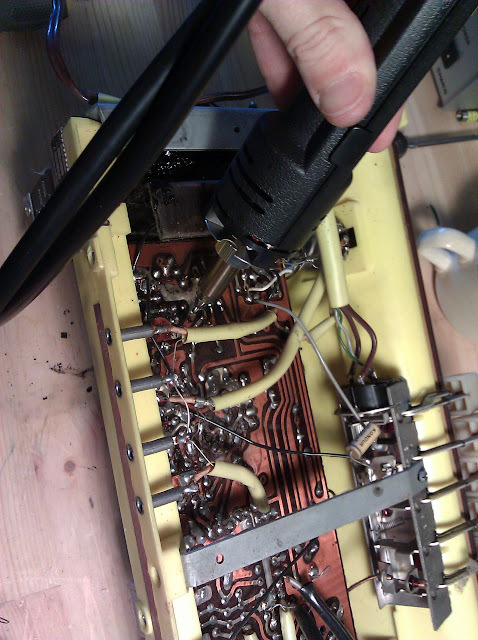 The problem was fixed by a quick reflow on the joints, causing them to properly conduct electricity again. 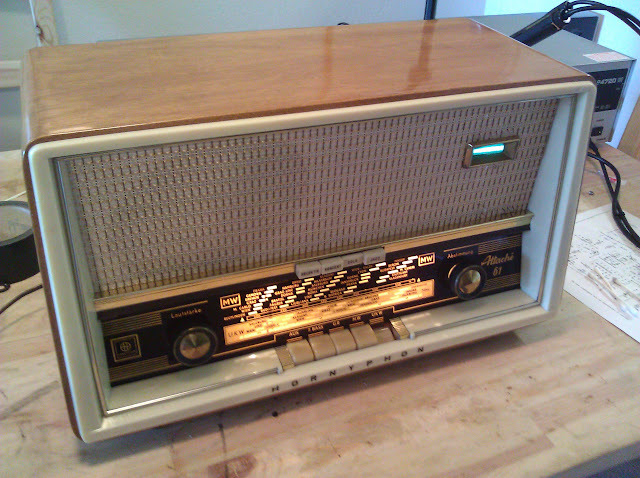 That problem sorted, the radio roared to life crystal clear on the FM broadcast band – but on the AM band, it suffers nagging crackles that override the audio and sound bad. Unfortunately, this is a symptom of a very bad problem called Silver Mica Disease and it happens due to electromigration of the silver under a strong electric field. Silver migrates out of position and when a sufficient charge builds up it arcs across the gap, resulting in a static crash in the audio. It’s repairable if you have a lot of time, or a lot of money to pay for someone else’s time, but is widely considered not worth it. 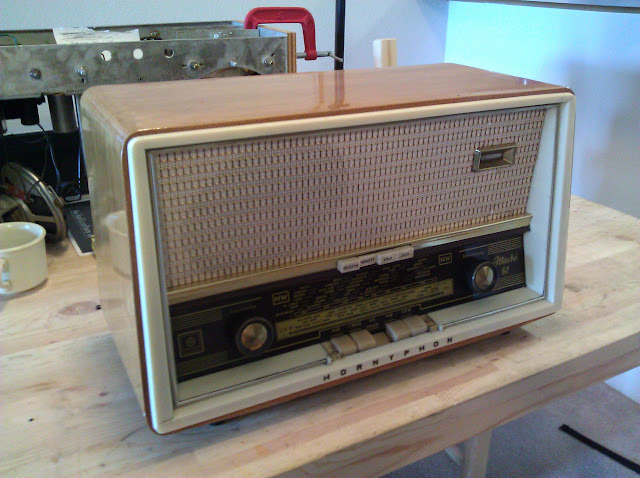 In this case, my customer decided AM radio isn’t that big of a deal to him and is comfortable keeping the radio FM-only. 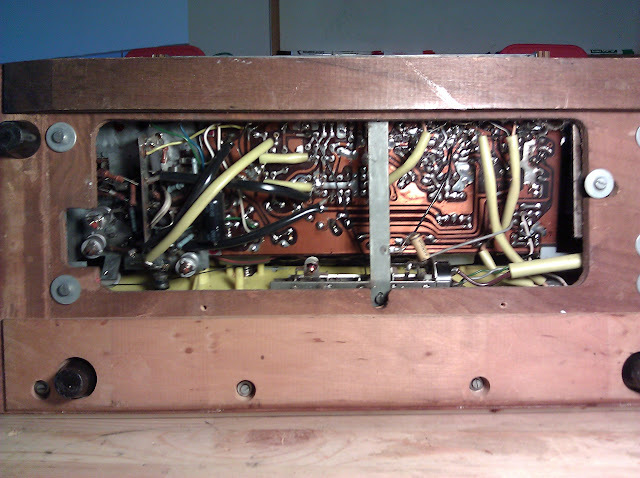 Take a look at the link to see what’s involved in an IF transformer repair, it’s not a simple procedure. As the station gets stronger, the gap in the center narrows; when it closes fully you’re locked on station. 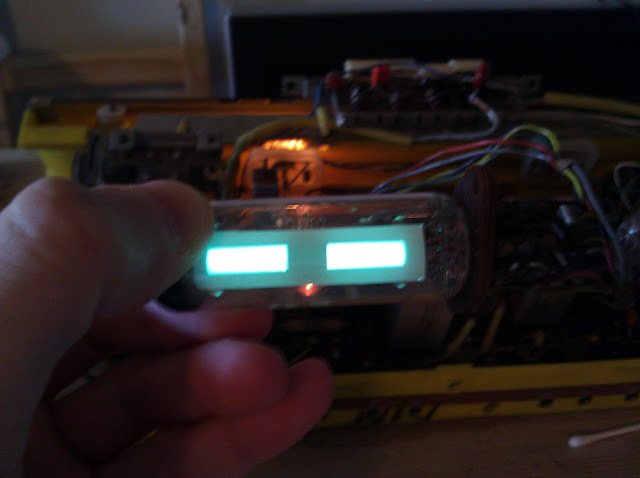 The backlit dial has beautiful markings, originally for the cities in Germany and around Europe where it was located. 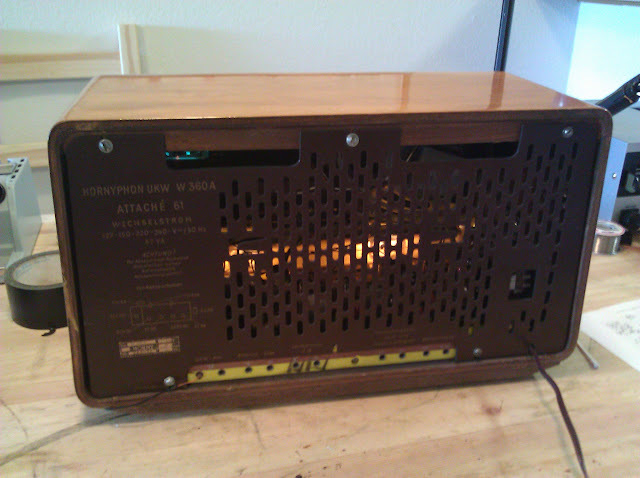 German FM radios from this time period used a shortened FM band, so this one only tunes ~88-101MHz, instead of the full 88-108MHz used in the US. 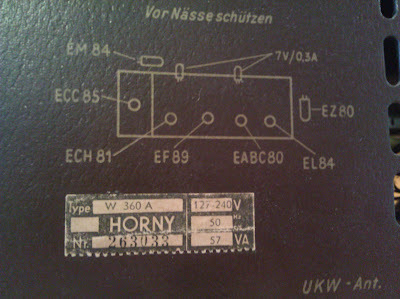 The dials are marked in German, naturally. 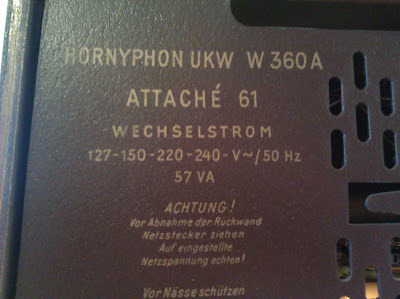 UKW is short for Ultrakurzwelle, Ultra Shortwave, which is the FM band. 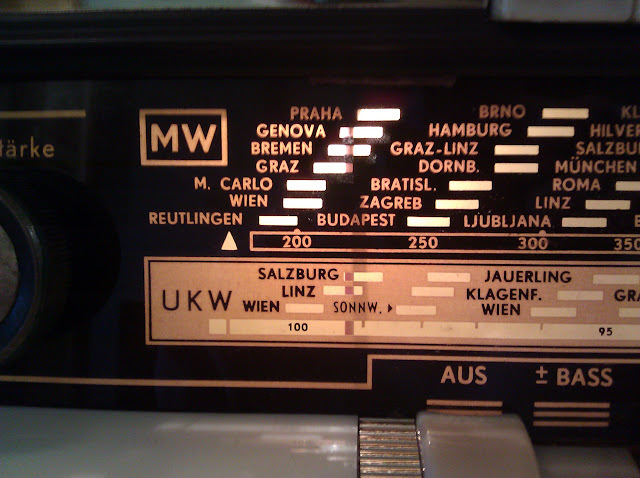 MW is short for Mittelwelle, Medium Wave, the AM Broadcast Band. 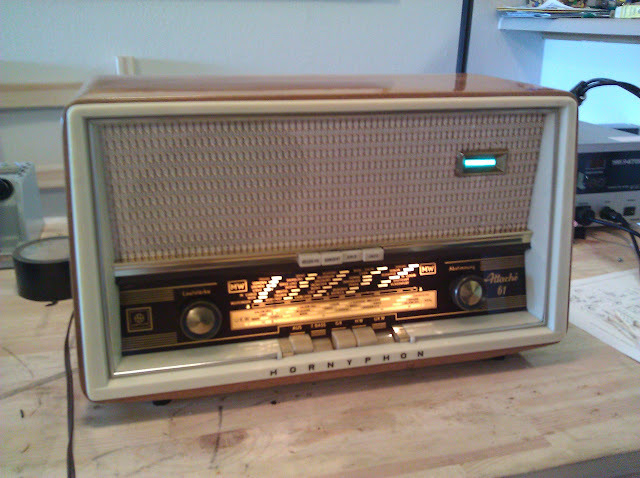 Now that it’s repaired, I expect the radio to give many more years of faithful service receiving music and brightening up the room it lives in. 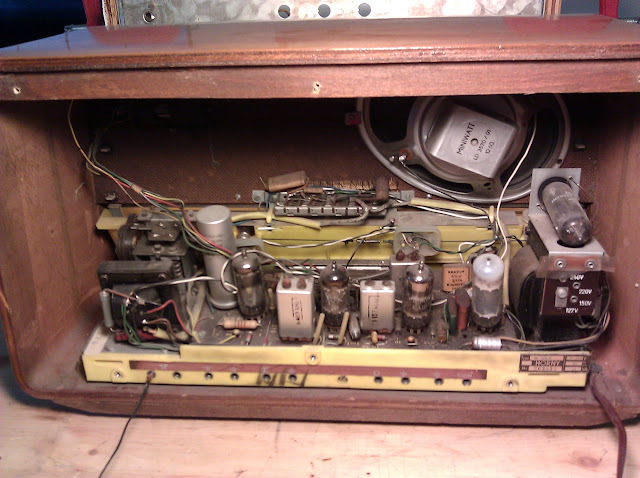 This entry was posted in Projects, Radios and Tubes, Vintage and tagged antique radio, Attache 61, Hornyphon, MW, repair, restoration, tube radio, UKW, vacuum tube, W 360 A. Bookmark the permalink. Greetings! 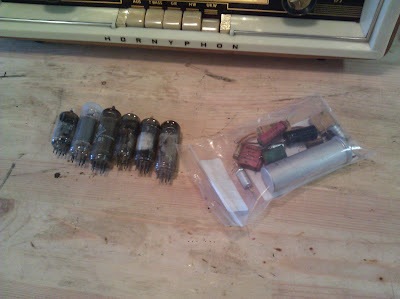 Let me see if I can find the schematic again! I’ll send you an email.